NordVPN is one of the most popular VPN providers on market. 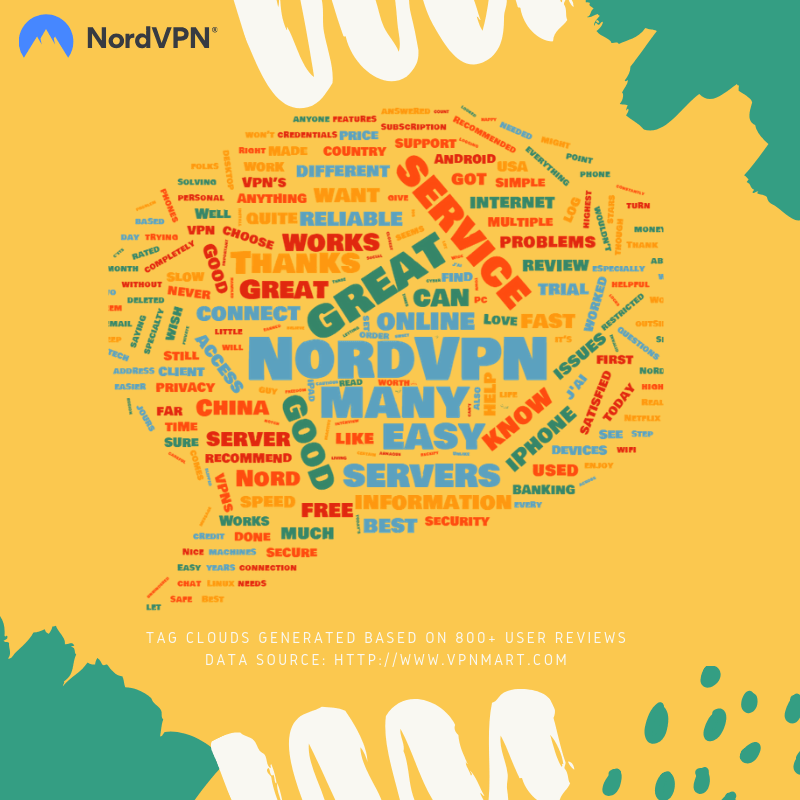 How do customers think about NordVPN? Check out tag clouds generated based on 800+ reviews.